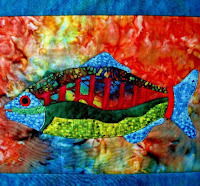 Thanks so much for including my Capri Fish Wall Art Quilt in this collection. They're all great water critters and she's in wonderful company! This is a lovely collection! Thank you so much for including my photograph. The rich tropical, exotic colors are amazing! Again a veritable delight for the senses. You always have such a unique approach to your selections. 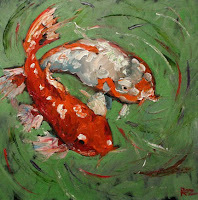 The artwork is just so enticing; once again I will visit the shops to see more by these artists. Beautiful day for all artisans of ETSY! 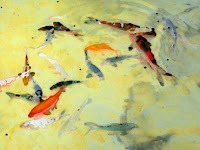 Thank you for including my koi fish! What a lovely collection. I always love to see how diverse work ends up being when artists are using the same subject matter. It's amazing how the creative mind works! There are so many ways I like to approach my art searches. Subject matter, medium, style or era, material, technique....the list goes on. 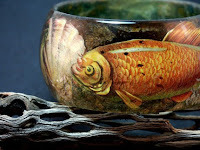 April, from lunasheart, is driven by nature in art, and the blog written by today's curator, Colleen from KCRlehrstudio, is a fascinating look at inspirations from antiquity and bygone eras. 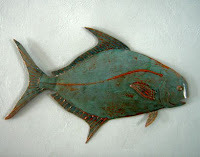 Response to Art is personal and subjective, and I'm pleased that my own viewpoint is well received here at EtsyLounge. I hope y'all will let me know if there's a theme you'd like to see addressed here! 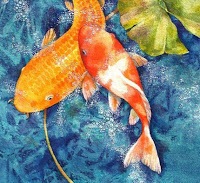 thank you for including my Koi painting! Fantastic review and work selected. 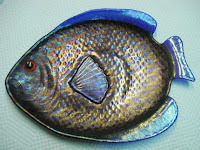 I returned from my mini vacation to two fantastic emails and this review of my Swimming Fish Bracelet. 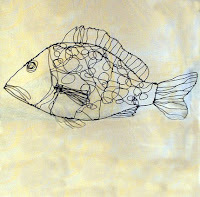 I have long been a fan of fish imagery, so this is terrific to see as a collection of artistic talents. Thank you so much. How kind you are to feature me on your blog! I signed up to follow. Your work is beautiful and I'll enjoy keeping an eye on what you're up to. 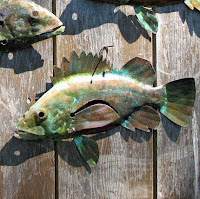 Thank you for including my hammered copper fish. 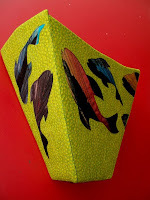 Wonderful selection of fish designs.